Two of my favourites quintessentially British foods are in season now, Yorkshire forced rhubarb & Seville oranges! Forced rhubarb, mainly grown in the rhubarb triangle around Wakefield, the triangle refers to the area between Rothwell, Morley & Wakefield in West Yorkshire. The forced bit is the method of cultivation of this vegetable in forcing sheds where it is grown in darkness & picked by candlelight. Rhubarb has some laxative qualities & the leaves are only poisonous if you were to eat about 10lbs of the sour tough leaves! Wakefield even hosts a Rhubarb Festival in February each year, for 2011 it is on the 25th & 26th of February, The festival will include street entertainment, cookery demonstrations, walks, tours, a Deliciously Yorkshire market and visits to the rhubarb growers. 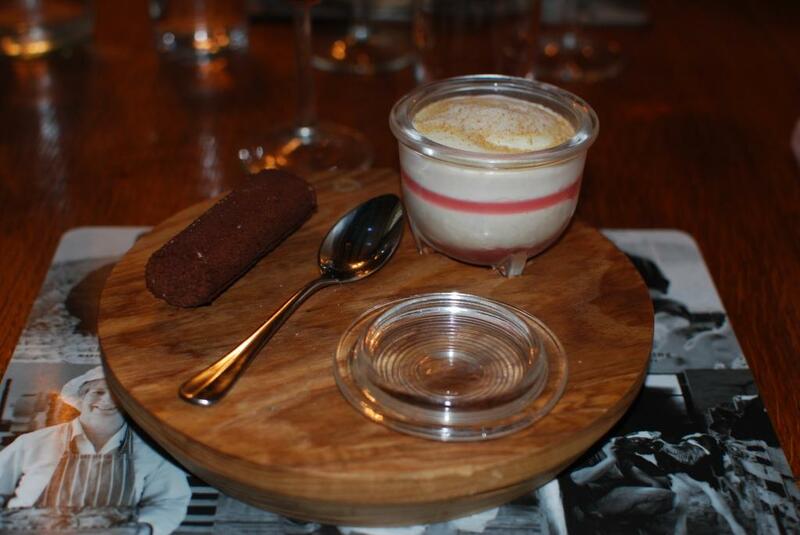 Make simple stewed rhubarb (compote) or rhubarb pie or how about this rhubarb trifle layered with cream (as photo) Nigel Haworth’s Rhubarb Trifle & Seville Orange Choc Ice, it even had freeze dried rhubarb powder sprinkled on top! Seville oranges aka the Bigarade Orange or bitter orange have a short season from Mid January to early February, these strongly flavoured tart fruits with a thick pith and high pectin level make the perfect marmalade ingredient. As the name suggests they originate from the Seville region of Andalucia, Spain but can be grown in many Mediterranean country’s and are mainly exported to the UK for marmalade production. So now is the time to make a batch of marmalade to see you through until next year, but be quick Seville oranges tend only to be in the shops for a few weeks. 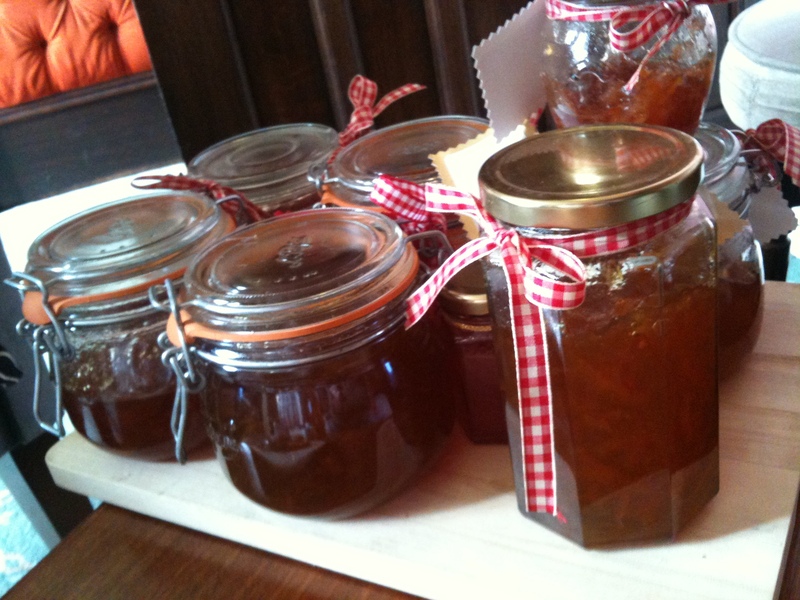 Let me know your favourite recipes and you could even enter the marmalade awards at the Marmalade festival at Dalemain Mansion & Gardens near Penrith in the Lake District. This entry was posted in Eating, Food, Recipes, Yorkshire, Yorkshire Dales Food and tagged Bitter orange, cooking, forced, Home, marmalade, orange, oranges, rhubarb, Rhubarb Triangle, seville, spain, sugar, Wakefield, West Yorkshire, Yorkshire. Bookmark the permalink.